It is the middle of the week! 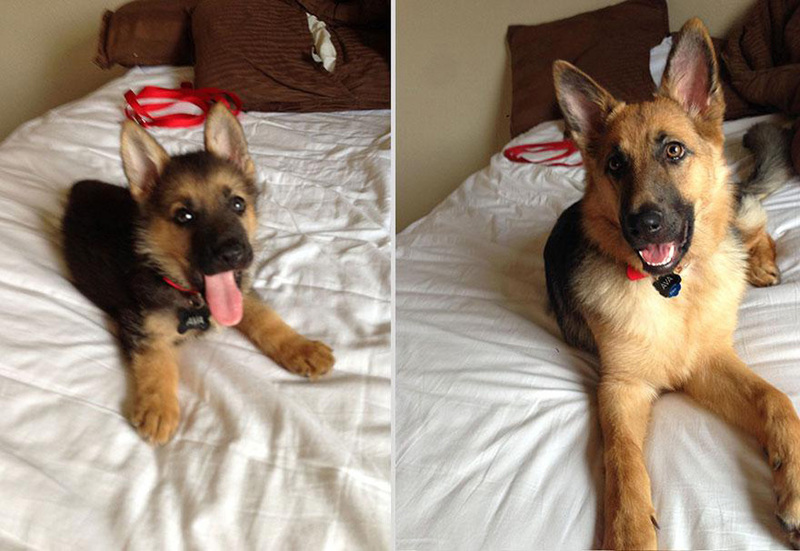 One important thing to remember when getting your cute little puppy is that they grow up really fast! It is only a matter of months before your puppy will be looking like a dog. So enjoy your time with your puppy! If you want to see more photo time comparisons like Ava’s check out the article 28 Adorable Before and After Photos of Baby Animals Growing Up on Distractify. Tags: dog German Shepherd German Shepherd puppy Puppy Wednesday Woof!